This brings me to the recipe for this post, zucchini bread. It is the first thing that I think of when the zucchini are ready to pick. We love the moist delicious bread that these zucchinis make. Mike brought in a couple of beauties this weekend, the first of the season. It is zucchini bread time. 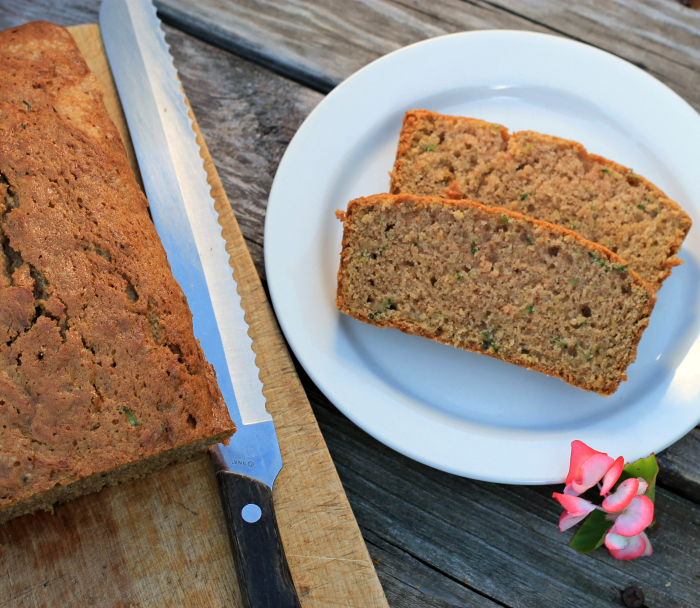 I have a go to recipe when it comes to zucchini bread, but I decided to go a little different route this time around. I decided to add a little cardamom to the mix of things along with the cinnamon. It’s kind of crazy how just a little bit of cardamom can change things up, in a good way of course. Normally I use oil in my bread; this time around I used half butter and half vegetable shortening. The zucchini bread turned out to have the same moist texture, with a bit of a change in flavor, thanks to the cardamom. 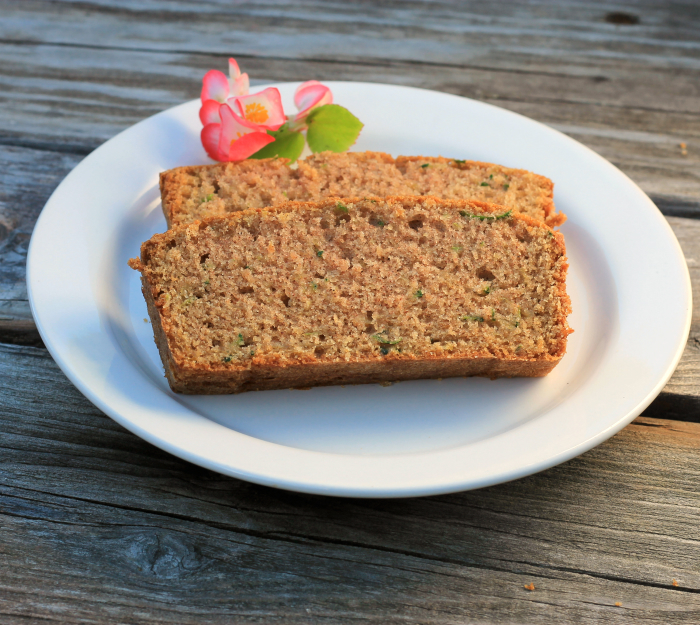 Looking for a new flavor for your zucchini bread try a little cardamom, I think that you will love it. Grease and flour 2 bread pans. Preheat oven to 350 degrees F.
In a large bowl mix the butter, shortening, and sugar until well blended with a electric mixer. Add the eggs and vanilla and blend in. Sift together the flour, salt, baking powder, baking soda, cinnamon, and cardamom and add to the cream mixture and mix until well blended. Add the grated zucchini and mix in with a spatula. Divide the batter between the 2 pans and place in the preheated oven. Bake for about 45 minutes or when a wooden pick is inserted it comes out clean. Cool for a few minutes and remove from pan. Set on cooling rack and cool completely. Need to use up some of the MILLION zucchini in my fridge with this!! 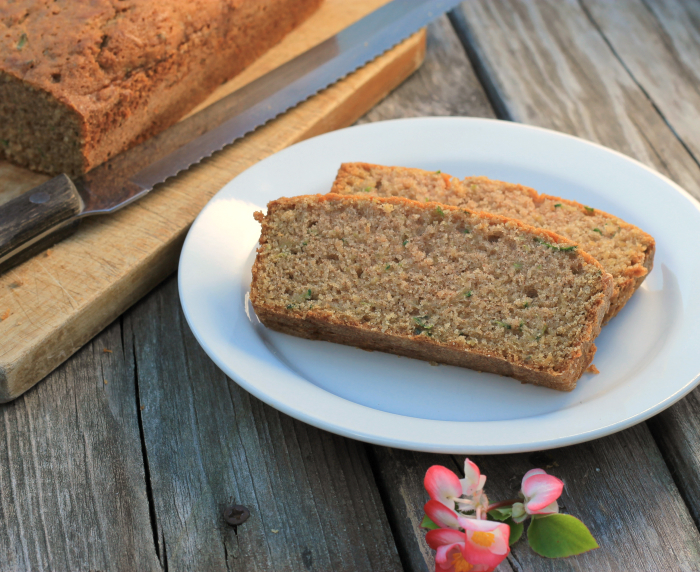 I completely agree with you, zucchini bread is the number one thing I look forward to when my friends all have zucchini coming out their ears in the summer. Your recipe looks delicious. I’m yumming it so that I can come back and make it next time I get my hands on some zucchini. 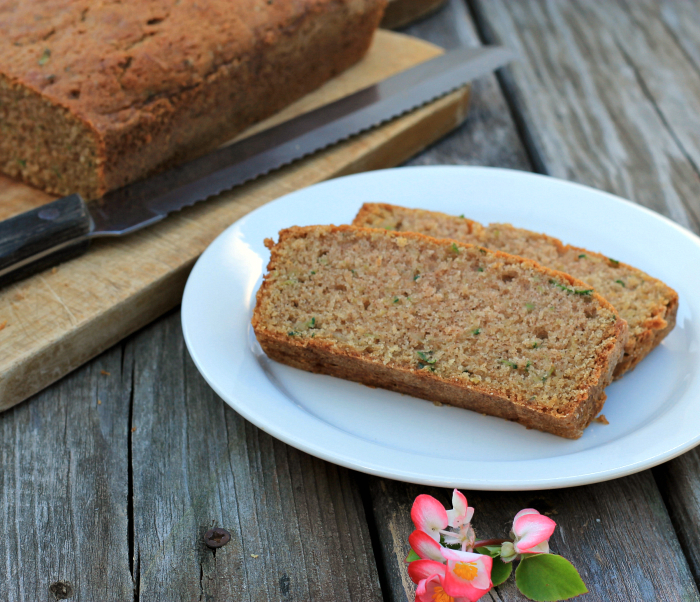 I love zucchini bread and this look wonderful Dawn! Definitely one of must-have quick breads for me. It looks so moist and delicious. Perfect timing! Zucchini season is in full swing here, and I need new recipes. This is wonderful — thanks so much. Dawn, what a great idea to add cardamom! Now I need Kayte to give me some of her zucchini! !